Free samples of Derma Anti Wrinkle Scrub available for Low income people and the general public. 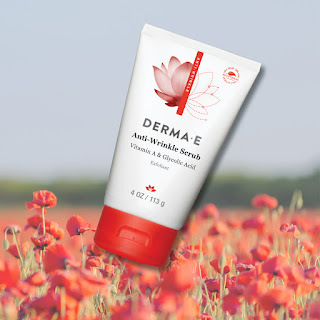 This is a super offer from Derma E.
Derma E is offering samples of their Anti-Wrinkle scrum. The scrub contains Vitamin A and Glycolic Acid which will help your skin glow. The Derma E Anti Wrinkle Formula will help with wrinkles, hyperpigmentation, marks, lines, scars. It will also lighten and brighten the skin. This is a fantastic offer and the product should be good for about 20 washes, saving you money and making your skin beautiful in the process. This offer is on a first come first served basis so you need to be quick as there are only 5000 available and it will soon run out. If you want to take advantage of this offer all you have to do is fill out an online registration form. Once done the product should be with you in 4 to 6 weeks. To register for the free samples from Derma E please check the following LINK. This is a fantastic offer and won't last forever. You need to register fast. If this offer has run out, don't worry, I will find more offers and post them here. Feel free to share this offer with more low income families.